I was ready for a weekend. My Guy managed to make it home last night, in spite of canceled and delayed flights. It's nice to have him home. He'll be home for at least a couple of weeks before the next round of trips next month. I did make it into the sewing room a bit this week and finished up this month's scrappy butterfly block. I wasn't too sure about the bright print used for the top wings, but I like the end result. The wild flowers have been blooming here. 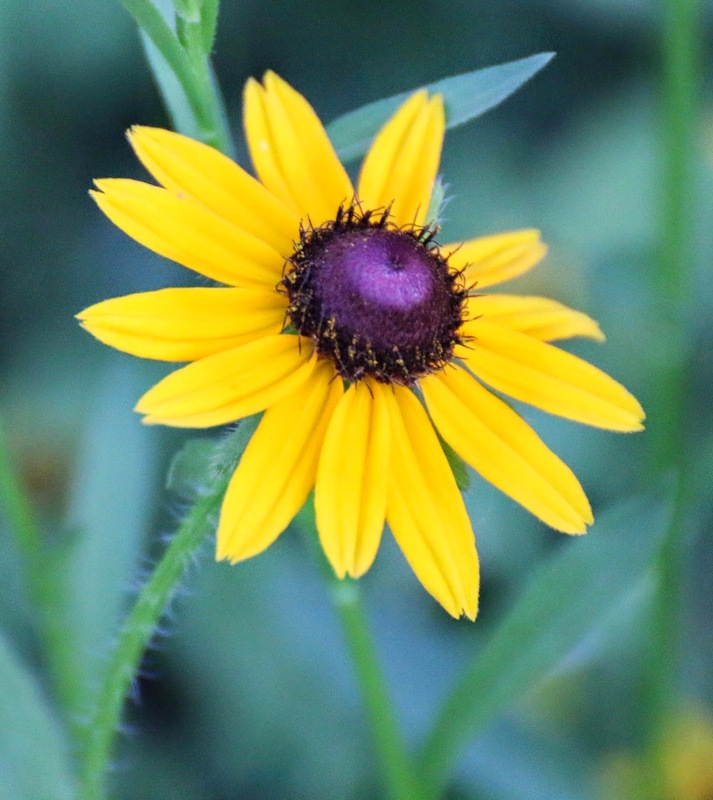 There is a field of Black Eyed Susans not far from the house. They remind me of the crayon suns I used to draw when I was little. It's hard not to smile when I see whole fields of them. I do hope to get in some stitching time this evening. We've got errands to run today. Hopefully I have a little time this morning to check out the sunshine yellow stitching posted over at SoScrappy. Sunday was a rainy day, just perfect for sitting up in the sewing room and listening to the rain. I did get there eventually after seeing to a bit of laundry and household chores. There was actually more cutting going on then there was sewing. But I did finish up a few more blocks for Jigsaw. Just 4 more blocks to finish up, then we'll need to figure out the borders. Hopefully that won't take me as long as it did to work out the colors for all the blocks. That's it for my design wall this week. For more works in progress check out Patchwork Times. My Guy gave me a sanity break yesterday, telling me to go sew rather than tackle laundry and the other typical weekend chores. I think it was the traveler's guilt talking. He's been gone for the last three weeks and is heading out again Monday. He's hoping to be able to stay home the next week. But there's a new project starting and the plant is in a hurry for it to get kicked off. So thinking he'll be home the next week may well be wishful thinking on both our parts. 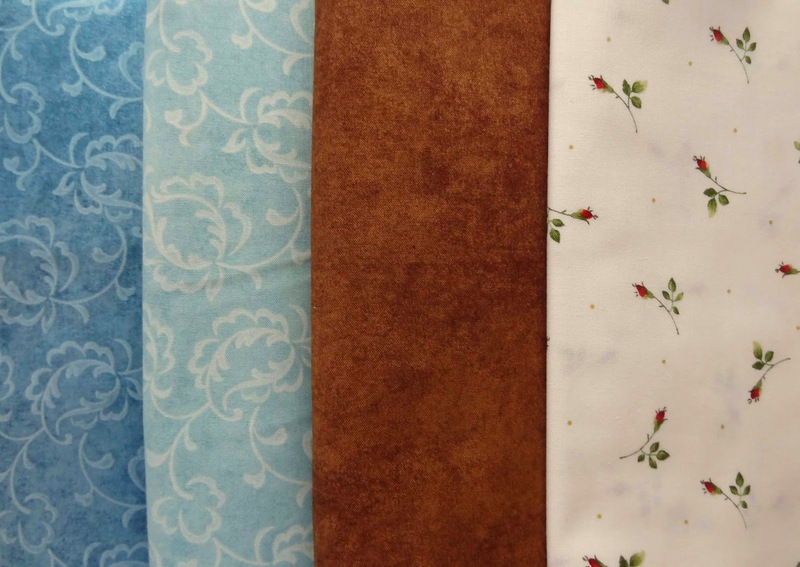 The Fat Quarter Shop has these 24 hour flash sales and the discounts are really good, so it's ideal for buying larger yardages for back grounds and backings. My stash is really weak on large cuts for backgrounds. That's why these ended up my basket. The other purchase was 3 yard cuts to use for accents. At less than $3.50 it was really hard to resist. Obviously now there needs to be more foot pedaling than keyboarding. 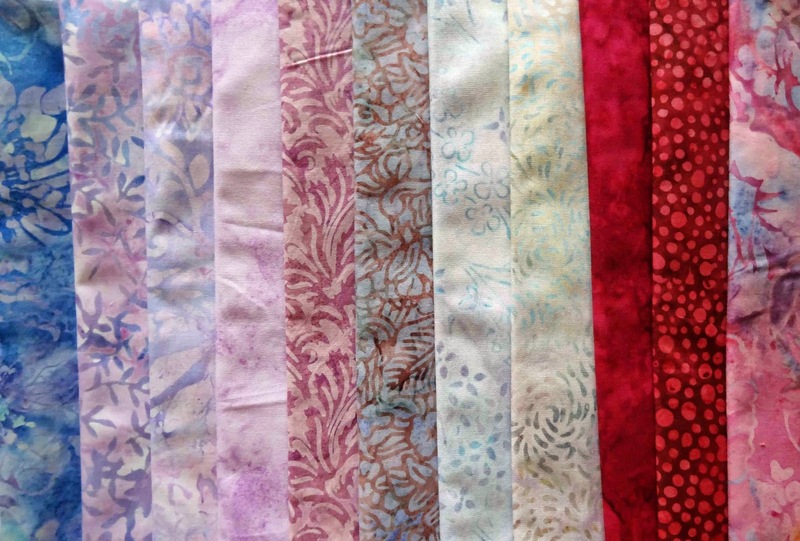 For more stash tales, check out the posts over at Patchwork Times. I'm not sure where this last week went. I didn't spend a lot of time in the sewing room, though I did spend a fair amount of time on the computer playing with layouts in Electric Quilt. Though I did manage to finish up 2 of the yellow Rainbow Scrap Challenge Sampler blocks. 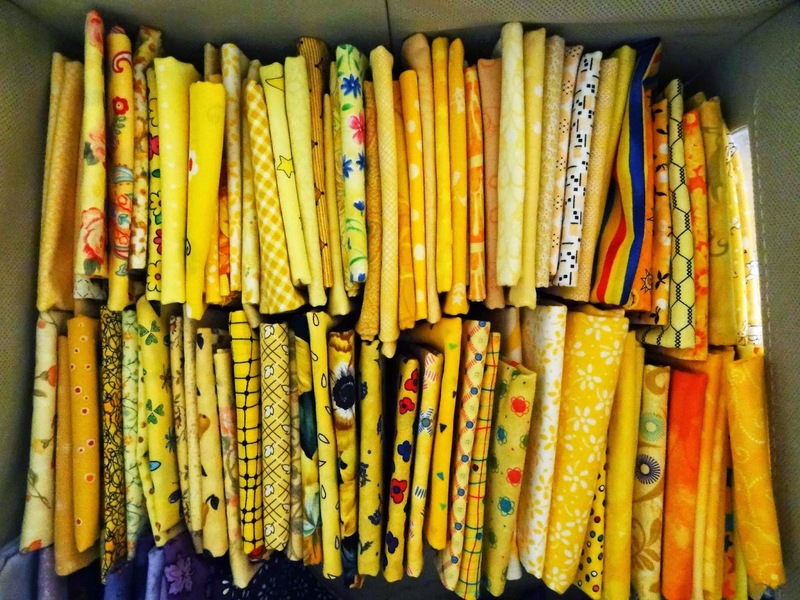 I love sewing with yellow, it's like stitching sunshine. The first few parts of this month's Inverted Star made it to the design as well. 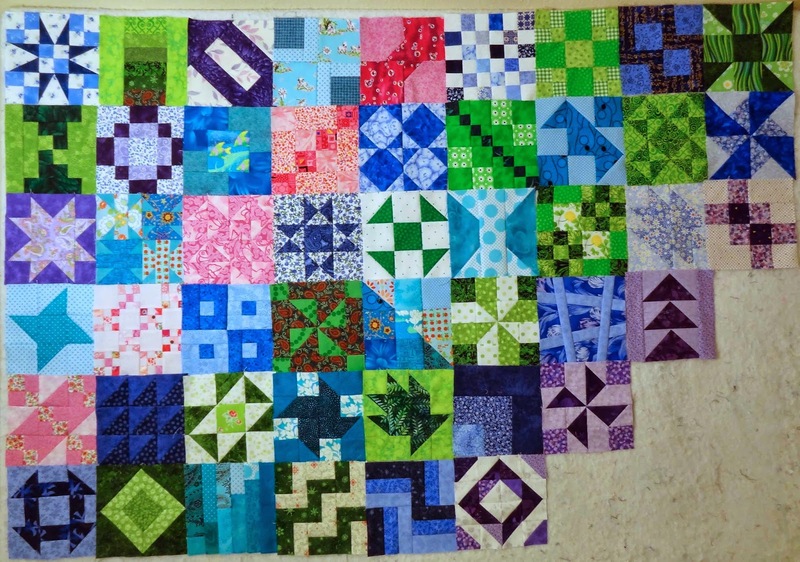 The scrappy version of this block needs 16 different fabrics. When I cut the fabrics for the RSCS blocks, I also cut either a 3"square or a 2.5" square to use in that month's Inverted Star block. It's just more efficient that way. I'm taking a mini vacation from household chores this morning. My batteries are low, with My Guy traveling so much I've been doing double duty in a few areas. He suggested I just take some "me time" this morning and recharge just a bit. Sounded good to me. Drama Teen has a volleyball clinic this morning, so I'll have to run her to that in just a bit. But then I'll be free to come home and stitch for the rest of the morning. For more fun with scraps, check out Soscrappy. We had a quiet weekend, which makes for a nice change after the hectic week of travel. Saturday was dedicated to laundry, housework and a shopping expedition to replace the built-in microwave. The microwave died last weekend. After finding that all the new microwaves on the market won't fit in the existing space without extensive modification, it's off to the shop to see if we can get it fixed. We all stayed home on Sunday, which allowed for a full afternoon of stitching. A couple of the Jigsaw blocks have been restitched with their new "tabs" and blocks for the last row have been cut. It's starting to come together again. I'm much happier with the block placement, all the un-sewing of last week was definitely worth while. 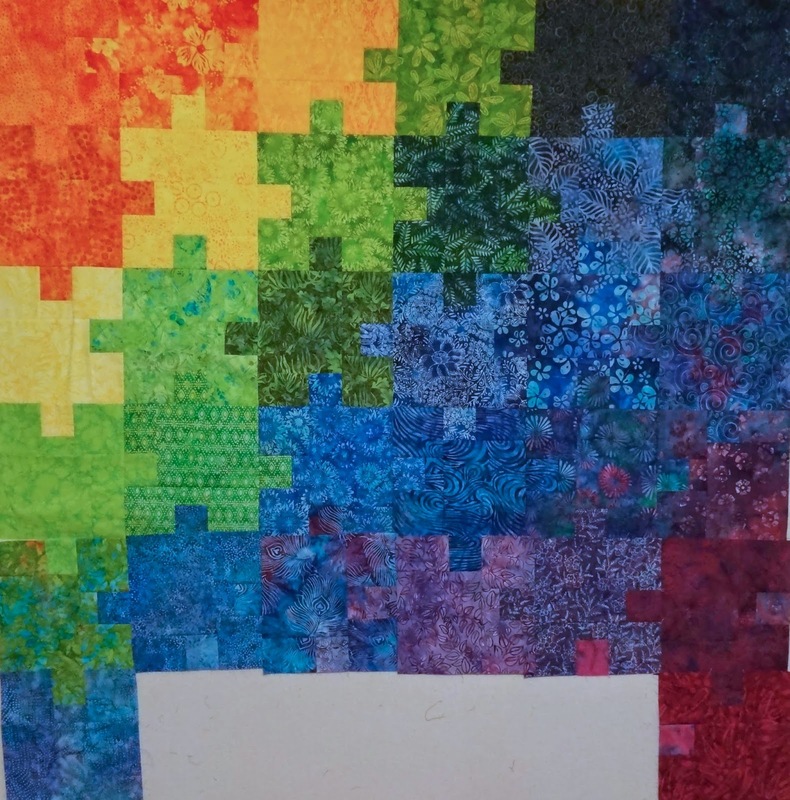 The last of the green blocks for the Rainbow Scrap Sampler project were also cut and sewn. The sampler is definitely colorful. The final setting will be different, but this one works for now. I'm thinking of using a thin white sashing between the blocks. There's still a half year of blocks left to make for this project, so there will likely be other thoughts as to the setting once those go up on the design wall. That's it for my design wall this week. 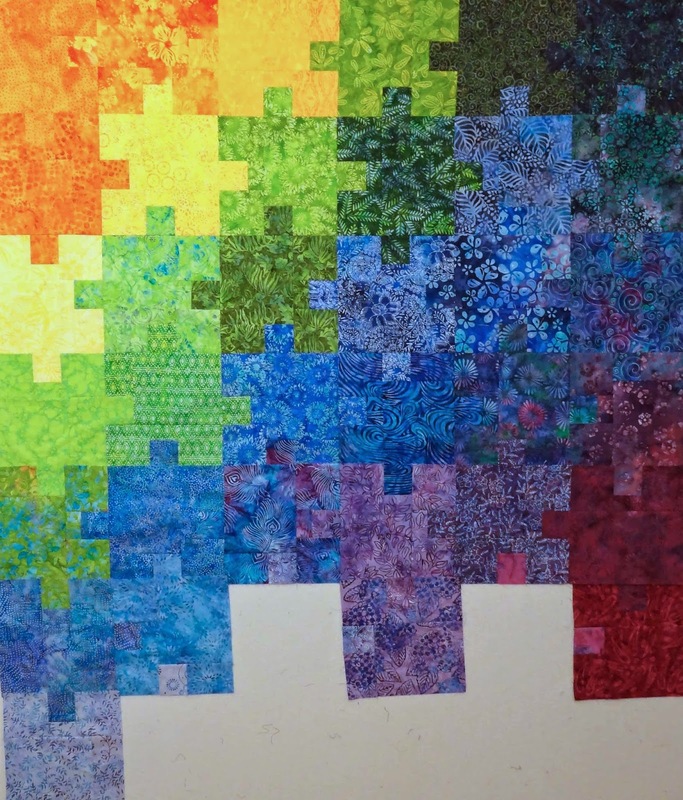 For more quilters eye candy, check out Patchwork Times. It was a slow week on the sewing front. I was in Denver for a conference for much of the week. Drama Teen had summer league volleyball the day after I got home, so we spent Thursday in Tulsa. Yesterday was spent on errands and a late afternoon nap. So not much time in the sewing room. The only quilt related thing I've done is play in EQ. So far this is the only layout I've worked up for the butterfly panel that arrived a couple of weeks ago. I've got some other layouts I want to play with before I start picking out fabrics and cutting into them. I did do some stitching on Jigsaw before I left for the conference, but I'm resewing the blocks I un-sewed last week, so that fabric has already been counted. This week's stash report looks a bit anemic. At least there was nothing coming in over the last week. 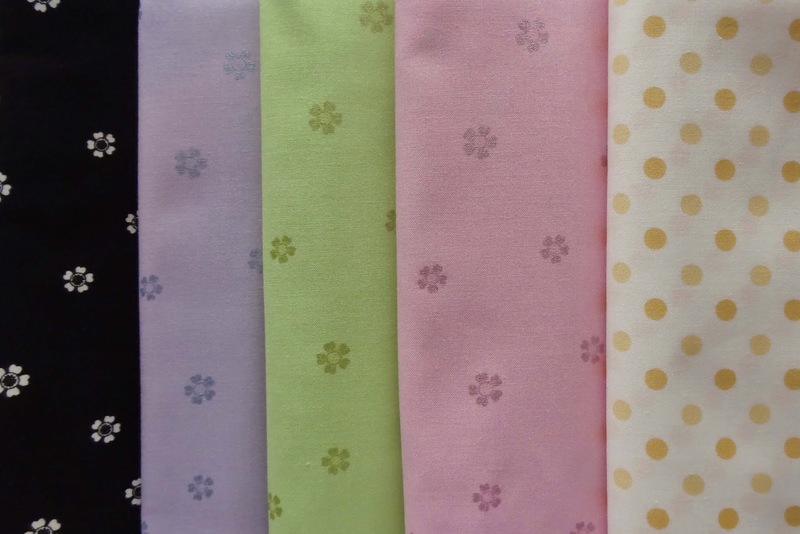 I hope to get some time in the sewing room this afternoon, so I have hopes of having something to report next week. 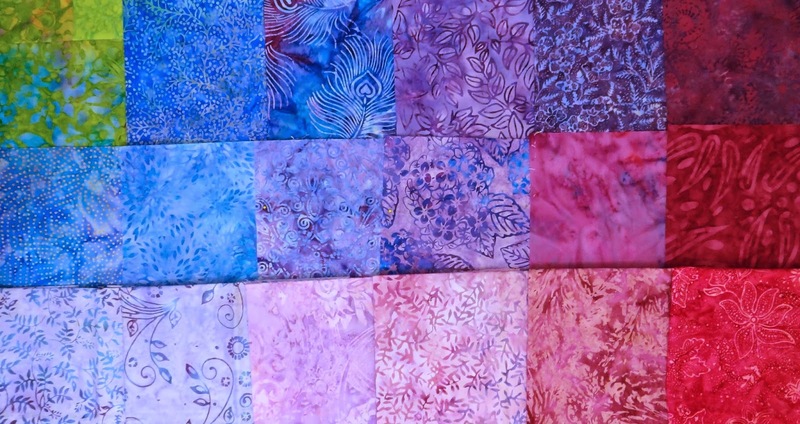 I'm linking up with Patchwork Time's weekly stash report. Hop over and check out other stash management strategies. The business trip to Denver and Drama Teen's participation in summer league volleyball didn't allow a lot of time for stitching this week. I still have a couple of green blocks to finish up for the Rainbow Scrap Challenge Sampler. 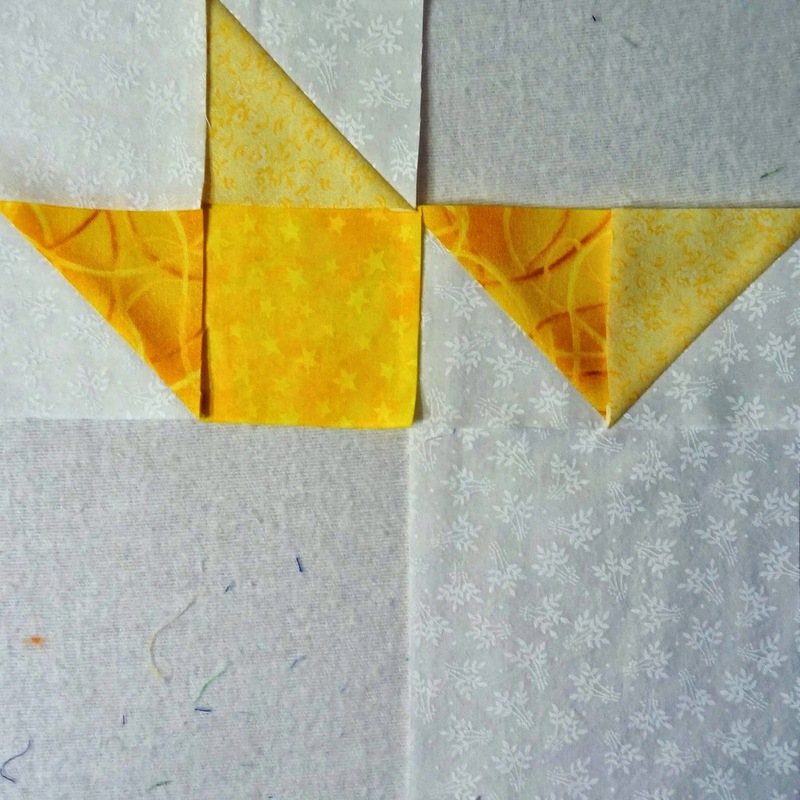 The only thing I did manage to achieve this week was pull together all my yellow scraps. 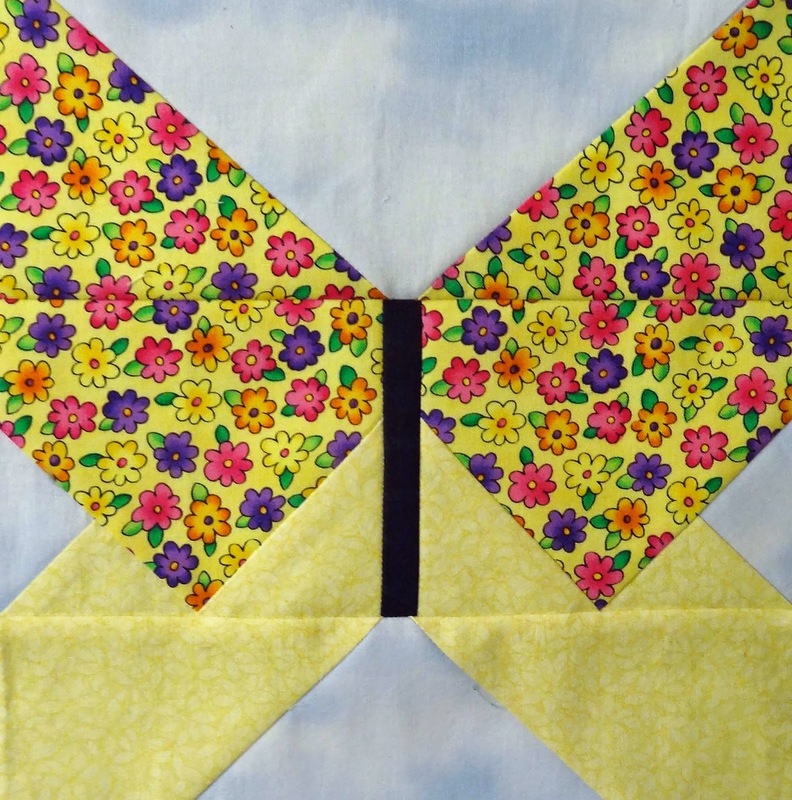 These are fat quarters left over from the purple and yellow scrap quilt that was on my UFO list forever. The plan is to spend some quality time in the sewing room this weekend, so hopefully I'll some yellow blocks to share next week. For this week I'll just have to check out all the fun yellow creations posted over at Soscrappy. There's one thing I wanted to share from my business trip this week. I don't travel a lot, usually a couple of times per year for business and about as much for family trips. My Guy travels a lot for business. Between the two of us we've stayed in very small towns, large resorts, and overseas. Neither of us have ever come across this particular item as part of the standard room amenities. 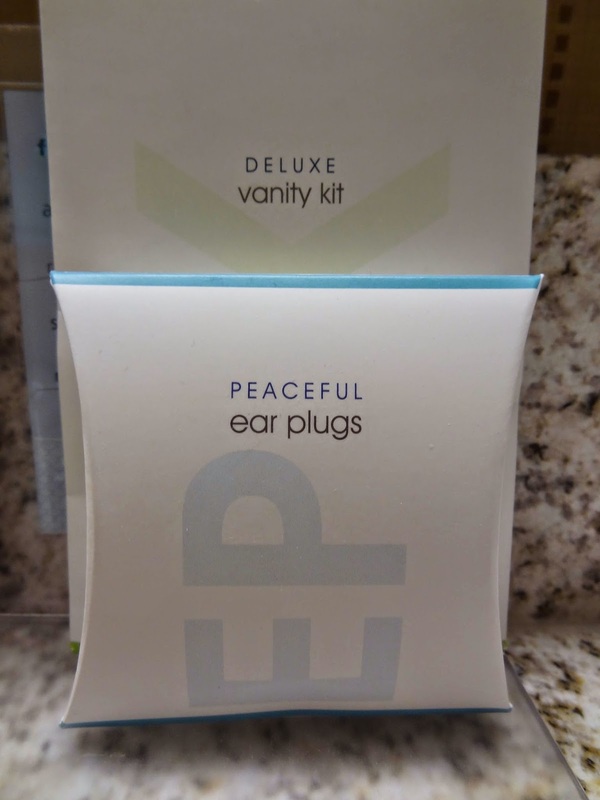 When I saw that sitting on the counter right next to the shampoo and conditioner I had to wonder why the hotel felt the need to include ear plugs. Both My Guy and I have stayed at places where ear plugs would have helped greatly when trying to get/stay asleep. Thankfully the hotel in Denver wasn't one of those places. I've been out of pocket the last few days as I've been at a conference in Denver. Due to a delayed flight, I didn't get home till about 1 this morning. I'm off today to take Drama Teen to a volleyball tournament that starts today and will run over the next 3 Thursdays in June. Since it's still the first week in June, I don't think it's too late to post my May progress on the Something Old, Something New Challenge. Nothing new has been started, though I have started playing around with design ideas that use this panel. On the something old front, finishing up Jigsaw has been the primary focus the last few months. I managed to finish up all but the last two rows before the placement of a few blocks started to bother me. So after much dithering about it, I finally decided that the x marked block had to move. While I was at it, I decided to completely rework the last row of fabrics. I wasn't happy with the color progression. So after a bit of un-sewing and a couple of fabric orders, this is where Jigsaw was at the end of the month. It may not look like much progress, but all that un-sewing took some time. Now that I'm happy with the final plan, I'm hoping this will go together quickly and I can move on to something else. 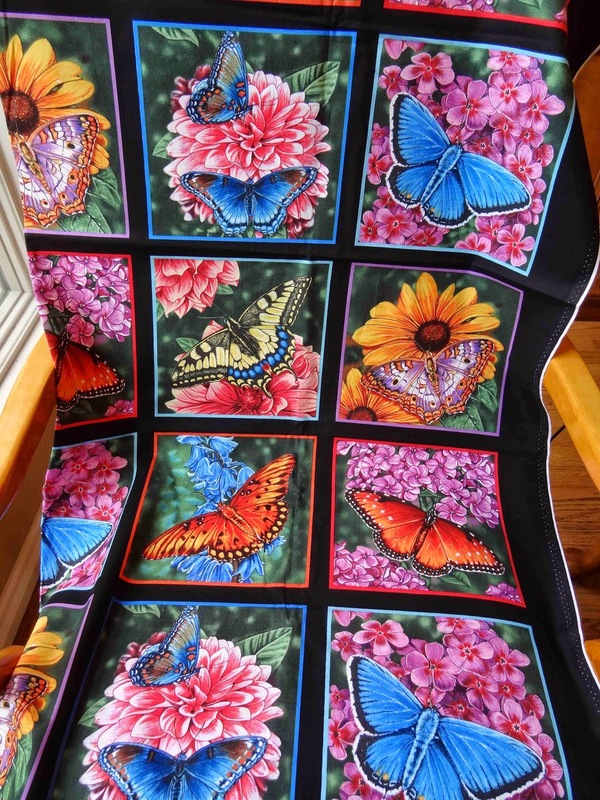 So for June the goal is to get Jigsaw to the finished flimsy stage and come up with a quilt design for the butterfly panel. More old and new stuff is posted over at Never Too Hot to Stitch. Not a lot of sewing this last weekend. I didn't feel well on Saturday and Sunday I had other stuff to do for work. 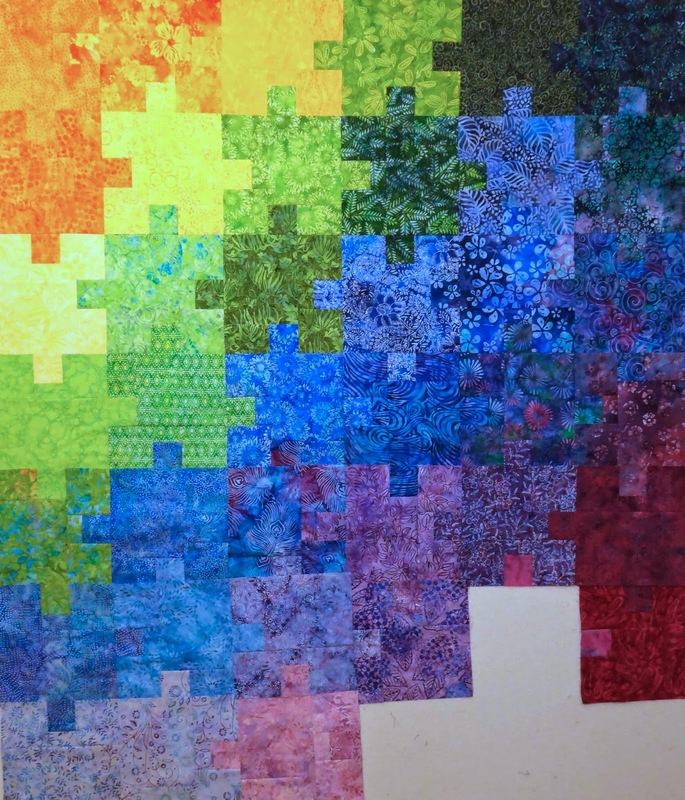 Though I did spend a fair amount of time in the sewing room looking at options for the Jigsaw quilt. 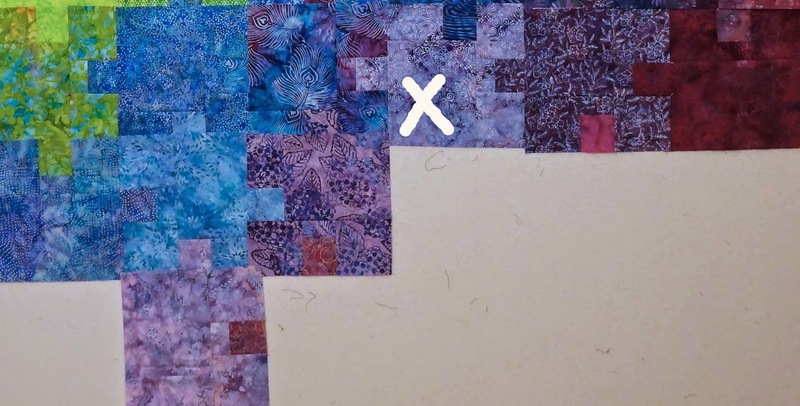 Last week I pointed out one block for the Jigsaw quilt that was just bugging me. There was another block in the very bottom row that was bugging me too. After some debate, I was able to relocate a few of the existing blocks into something that I liked, but the third block in the last row still wasn't working. After in infusion of few new pale batiks, I was able to remove the offending fabric and find a flow that works reasonably well. Here's where I ended up after the weekend. The problem block (marked with the X in the first photo) has switched with the 3rd block in the middle row. The 2nd block in the last row has been replaced with a new fabric, as has the 3rd block in the last row. I think the over all color shift works better with the new choices. All the blocks unsewn, now I just have to resew them with the right "tabs". Hopefully I'll have more blocks back up on the design wall next week. Check out more design walls over at Patchwork Times. It's been a quiet weekend, with not much going on. Unfortunately I didn't feel well yesterday, so not much sewing happened. I hope to get into the sewing room for a bit this morning. It's a good thing I had last Monday off or there wouldn't be anything to report as going out this week. There were a few more keystrokes that resulted in some incoming, but that was for a purpose. I'm trying to finish the Jigsaw quilt, but needed some fabric to replace the one fabric that wasn't working. I ended up replacing 2 fabrics in the bottom row of the Jigsaw quilt out of this set. 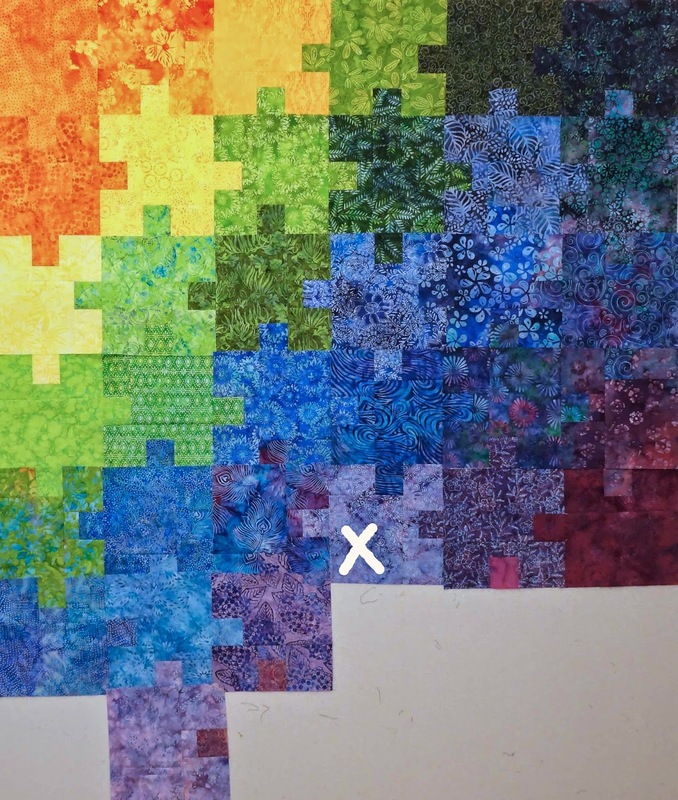 Now the color fade and the fade from light to dark across the quilt works much better. Now to get the pieces cut out and sewn together. That's it for my stash report this week. To see who else is adding and who is not, check out Patchwork Times.